Lake Farm shares 1.2 kilometers of beautiful Lake Karapiro lake frontage. It is a special property with requirements to protect New Zealand’s beautiful waterways. We don’t use fertilizers or other additives to the soil, which could eventually reach the lake. Colin and Keryn Brown farm this land and breed very select Angus cattle that meet the AHUREI standard for “special and Unique” beef. It is a beef marbling standard with a minimum AU marbling standard of 3+ (0-9 standard). This involves many years of selective breeding – and we are only half way through this journey. High-end breeding, by itself, is not what drives us. Our first passion is to create an environment where cattle live in a stress-free environment, so we genuinely relate closely to the animals, and they can share their lives with us. We steer bull calves, so all animals can live as a single herd, where they learn true herd behavior and don’t go through the stress of weaning and being separated from their parents/calves. They are not here forever – so we want their time here to be special. Keryn has had a lifelong passion for horses. She has three older horses here, riding and caring for them is her pleasure. She sees it as “paying it forward” to all the people and horses who have given her so many opportunities over the years. Colin was from the computer industry – and it’s only in the last 15 years that he has been involved in the beef industry. 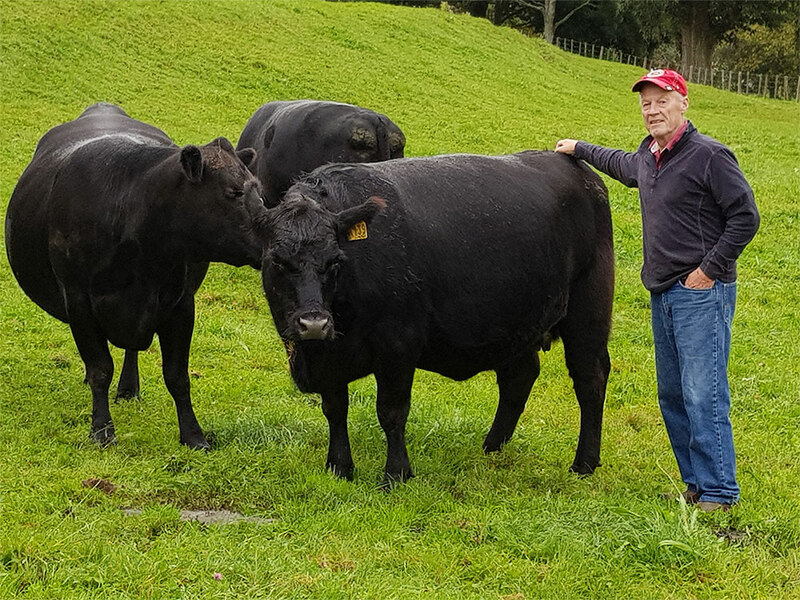 So taking a more business/marketing approach to beef breeding along with a burning passion to produce world-class cattle has seen some significant progress, along with lots of rewards. We believe our breeding program is unique. It’s not about buying cattle in to fatten here. It’s very much a provenance story. We breed and raise all progeny here at Lake Farm – and when it is their time to go off to be processed, we ensure that the process is as stress-free as we can make it. Whilst we know stress reduction positively affects meat eating, we do it because we want to keep their anxiety to a minimum. It’s our responsibility to do this for them.